Steel is an important metal which has a vital role to play in infrastructure and manufacturing all over the world since years. The importance of steel can be determined through the fact that it is responsible for over sixty-five percent of the standard household items. Also, sixty six percent of the car’s body is steel. Hence, steel is a vital part of everyday life. 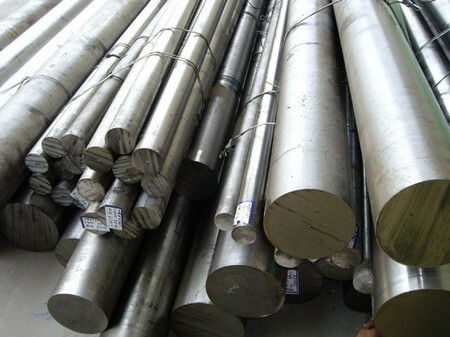 For many people, steel is just a metal and they don’t even that that it has several different types of specific molecular arrangements and possess characteristic strengths and qualities. Steel is an alloy which has been made for thousands of years dating back to 1400 BCE (before the Common Era). In East African sites, several remnants have been discovered. Steel is in fact a chemical alloy which comprises of two or more elements. Normally, it is a compound that is made of iron and carbon. Extremely high temperature is required activate the steel making process, to say somewhere around 1,370 degrees Celsius. You will be surprised to know that to achieve this high temperature, the methods have already been devised before six thousand years. Steelmaking isn’t an easy task as the processes involved in steelmaking are quite complex and need extreme precision and accuracy. It is so because even a minor alteration in the proportion of different elements can lead to variable molecular shapes and physical properties. Carbon steel is usually comprised of High Carbon Steel and High Alloy Steel. Carbon steel is the softest and cheapest among the other types of steel. This type of steel is mostly used in the manufacturing of woodworking tools. Carbon steel is favored by most of the craftsmen because these soft tools can easily be sharpened with a file. Most of the woodworking tools are made from Carbon Steel or Carbide Tipped as it is quite hard to make these tools with any other metal. It is not only hard but they are expensive as well. The tools made from Carbon Steel are widely used for drilling holes in hardwood or plastic, or even for cutting softwood. However, better grade steel is needed for the hard material. The tools made from this type of steel are usually heat treated at 62c hardness and you have to use a type of stone grinding wheel to sharpen them instead of file. Stainless Steel is a type of steel which is heat treated to 45 c hardness and is used to manufacture tools with long lasting cutting edges. On of the characteristic feature of this type of steel is its spring steel quality which keeps the tools from breaking while working in tough tasks. Stainless Steel is a hint expensive than Carbon Steel, it is widely used and can be sharpened with both a stone type grinding wheel and a file. 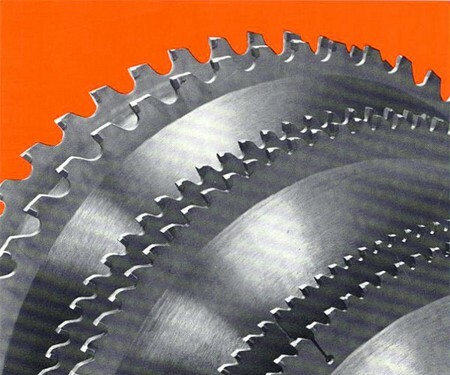 High Speed Steel (often referred to as HSS) is widely used in manufacturing of metalworking tools used in industry. These include: turning tools, drills, end mills and several other tools of variable grades. 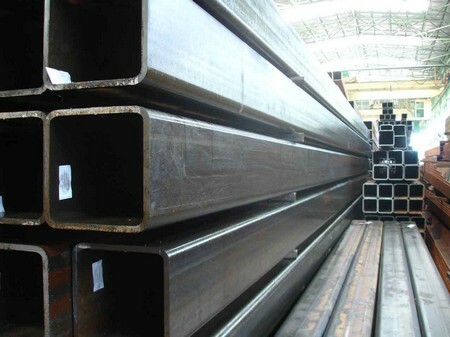 So, we can say High Speed Steel is available in different grades to fulfill the requirements of industry. These grades are commonly known as M1, M2, M7 and M50. Among these, M1 is the most costly grade. Although, few woodworking tools are made from HSS, this type of steel yet survives longer than those of Carbon Steel and Stainless Steel in the application of wood and plastic. HSS is not used to make large tools because of its property of being brittle. Among the different grades, M1 grade is known to be the hardest and hence, more fragile. However, in application where breakage is not the problem, tool are made from M1, M2 and M7 grade steel. Where breakage is a problem, the tools made form M50 are used. The tools manufactured from High Speed Steel are often marked or etched with HS or HSS. It is important to make sure that you chose the genuine HSS made tool. You can opt for HSS tools for majority of the tasks as these tools are long lasting and also have moderate prices. These tools are available in several different sizes and lengths. A stone type or Borazon plated grinding wheel are used to sharpen these tools. Cobalt Steel is a type of steel has resemblance to HSS. It has two grades that are M40CO and M42. The tools made from Cobalt Steel are often marked with these identifiers. Drills made from Cobalt Steel have a brownish gold tint. Cobalt Steel provides tools even better life span than HSS. Like some of the grades of HSS, Cobalt is stiffer and more prone to breakage. To keep the chips on the Cobalt drills intact and keep them from entering into the flute area, these drills are made with rugged and rough way. Cobalt Steel is not suitable for cutting plastic or wood. A Borazon plated or stone type grinding wheel is required to sharpen the tools made from Cobalt Steel. Alloy Technologies® is accountable for developing and producing Ferro-Tic Carbide. This material is solely used to make Countersinks and Counterbores which are used in cutting abrasive materials such as plywood, fiberglass, particleboard and Masonite. It is found both in soft and hard form. The soft form is mechanically processed and the hard form is used to produce hardware resistant tools. Technically, it is in fact a matrix of HSS and Carbide particles. The tools made from this material are not used for cutting tools, nor are they designed to be used as hand held equipment. A diamond plated grinding wheel or a stone type grinding wheel is used to sharpen the tools made from Ferro-Tic Carbide. Carbide Tipped is a type of steel used in the manufacturing of tools required to perform high performance tasks. It is extremely hard and expendable. The tools are used to perform the tasks quickly as is resistant to the heat produced from the faster spindle speeds. Being hard in nature, they need to be handled carefully while working with woodworking tools as they can break easily. There are some particular grades used to perform the tasks conveniently on metals and cement. Cutting edges of the tools made from Carbide Tipped steel are often brazed (coated with brass) with materials such as Carbon Steel. One need to have a Diamond plated grinding wheel to sharpen the tools which are Carbide Tipped. The tools made from Solid Carbide are costly. These tools are made to perform some particular tasks. Solid Carbide tools are often designed to have small spiral like that of SOLID Carbide Spiral Router Bits and Solid Carbide Drill Bits. You have to take the tools to the manufacturer to sharpen them as you cannot sharp them on your own. Steel can be implemented in a several different ways. So many tools and equipment are made to perform so many different tasks. Craftsmen, engineers and designers all use particular applications of the steel to carry out target oriented tasks.